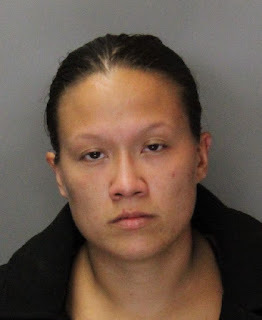 A probationer is in custody at the Sacramento County Jail after she was contacted by Elk Grove Police and reportedly found possessing several items in violation of probation. At 5 p.m on Thursday, November 3 police officers contacted 28-year old Donnell B. Chong (pictured above) on the 9100 block of Haussmann Street in Elk Grove's Laguna West neighborhood. Chong was found to be on probation and a subsequent search led to the discovery of controlled substance, narcotic paraphernalia and burglary tools. Chong was arrested and booked into the county jail where she faces a felony charge of violating probation and four misdemeanors. Arraignment is scheduled for Monday, November 7 and bail is set at $20,000.